is an indispensable and revolutionary tool to build, transpose and change musical scales in a intuitive way and to understand their musical significance. 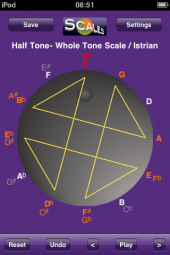 shows all scales vividly illustrated in a descriptive geometrical form on the basis of the circle of fifths. Simply by dragging with one finger you can change and transpose the polygon and thus the scale respectively tone sequence. plays back scales or tone sequences in four different tempi and three different arpeggio-play-orders: up, down, up & down. The Arpeggios can be voiced with piano, guitar, vibraphone or sitar sounds. A very special feature is the Sa-Ring. The Sa-Ring indicates the corresponding relative note names Sa-Re-Ga-Ma-Pa-Da-Ni, commonly used in India. If you play indian ragas, you´ll love that feature. 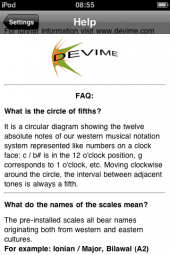 recognizes scales, sequences and intervals and comes with nearly 90 presets, comprising scales, intervals and note sequences taken from a wide range of musical cultures. 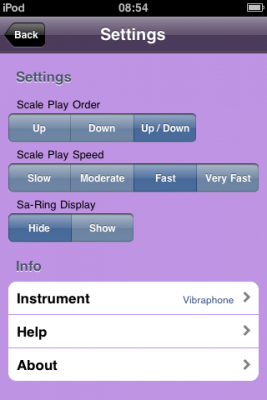 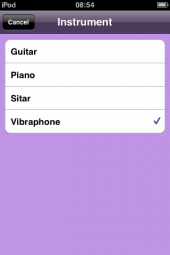 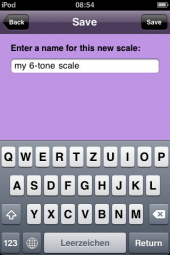 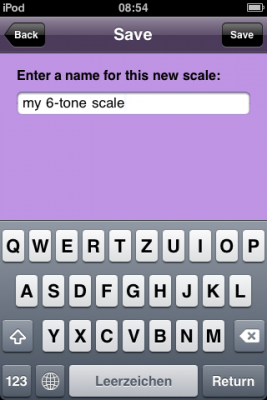 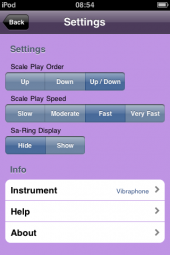 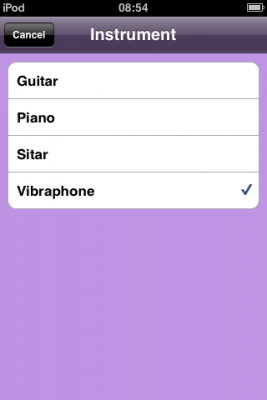 has the ability to store an almost unlimited number of your own scales and tone sequences. is a lovely aid to practise intervals and scales and a source of inspiration for creative musicians. And by the way, a possibility to stop hating the circle of fifths.